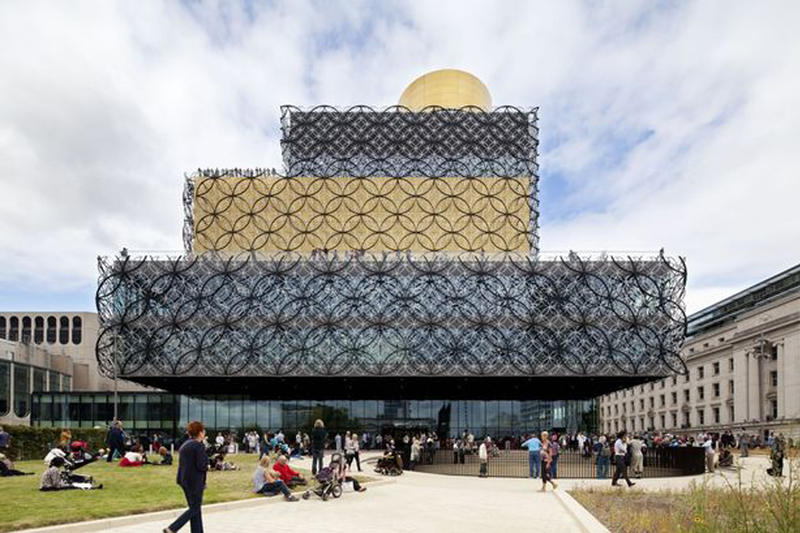 Three people have been banned from Birmingham's flagship library - for being too SMELLY. They have been barred from browsing the bookshelves in the £189 million landmark for having 'personal hygiene issues'. More seriously, two have been barred for indecent exposure, with another three excluded for aggressive behaviour towards staff. The figures have been released to the Sunday Mercury under the Freedom of Information Act. Across the rest of the city's community libraries seven readers are currently serving bans, including three for threatening behaviour. Their offences include one incident in which a librarian was physically assaulted and library property damaged. Other reported issues are verbal abuse towards staff and customers, misuse of books and threats to staff. Library bosses say the number of people excluded is very low, given the huge usage of facilities across the city. But they add that in some cases, despite repeated warnings, people have refused to change their behaviour - and they have had to be banned from using the libraries entirely. Figures seen by the Sunday Mercury have revealed that library staff across the city were subjected to 46 separate physical or verbal attacks. Brian Gambles, Director of the Library of Birmingham said: "The Library of Birmingham is a very busy public building and well over three million people have visited since we opened in September 2013. "The vast majority of our visitors show great respect for our wonderful building, staff and other visitors. "It is therefore extremely rare that we have to take the step of excluding someone from the building. "It is something we do only as a last resort, usually when someone is contravening library by-laws, and they are behaving in a way that has become intolerable, or even dangerous, for other visitors or staff." The Library of Birmingham is set to undergo serious cuts to its budget, with opening times to be slashed from 70 hours a week to just 40. Mr Gambles has announced that he is due to retire. Smelly customers, people getting angry with staff and even returning books phenomenally late, are all par for the course for embattled library workers. Last year the Sunday Mercury reported how Keith Dolphin from Erdington returned a book - the thriller Master Of Men by Edward Phillips Oppenheim - an amazing 79 years late. And just this month Luke Rudge, 33, of Grove Street, Leamington, was sentenced to 14 months - and a further eight years on licence after admitting sexual assault at Warwick Crown Court. The court heard how Rudge crawled along the floor at Leamington library, and kissed a woman's foot before sniffing her boots.